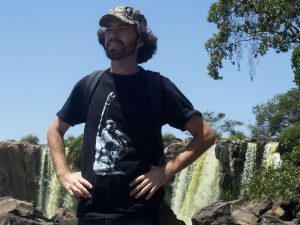 The Big Hole | Hujambo! 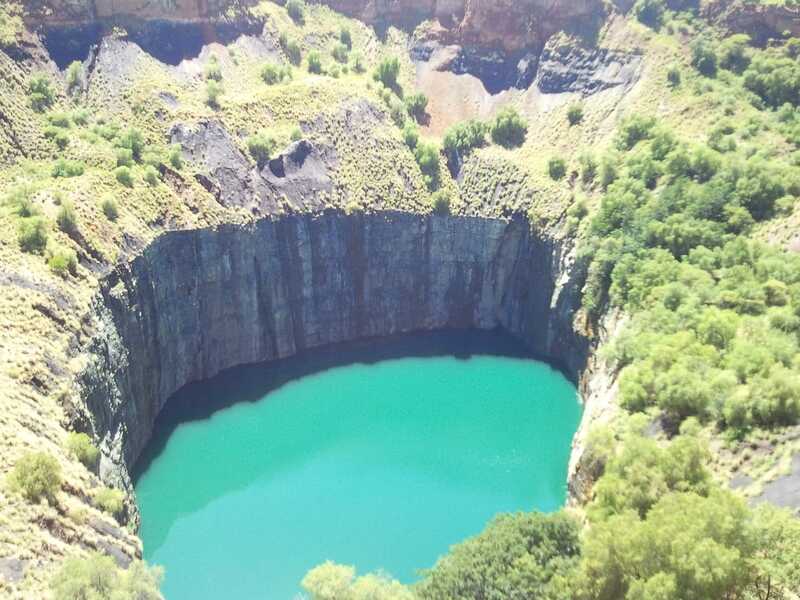 There’s a really big hole on the outskirts of Kimberley, South Africa. 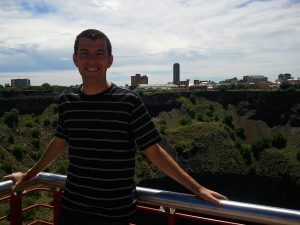 Aptly named the “Big Hole,” it is the largest hand-excavated hole in the world. 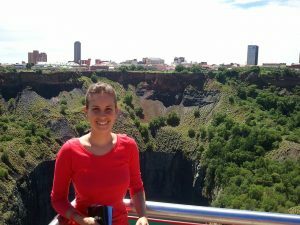 While originally quite important to the development of the region (and the global diamond market in general), these days it is little more than a big pond for tourists to stare at! Cassandra at the big hole in Kimberley, South Africa. Alan at the big hole in Kimberley, South Africa. 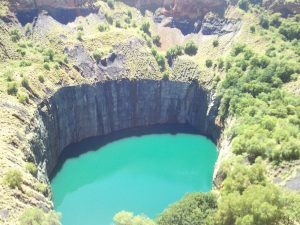 The big hole in Kimberley, South Africa. Digging started in 1871 when several large diamonds were found on land owned by the De Beers brothers. As I understand it, diamond finds were not uncommon in the area (one on a river bank here, another in a field there, etc), but the discovery of “Kimberlite pipes” changed everything. Kimberlite, named after the town in which it was discovered, is a volcanic rock that is known to contain diamonds. The craze which followed is similar to mineral discoveries, and subsequent “rushes,” all over the world. The mine was finally closed in 1914, after an estimated 50,000 men had pulled 6,000 pounds of diamonds from 22 million tons of earth. i like this post the most because it is so geological! The most? Better than ALL the rest? !